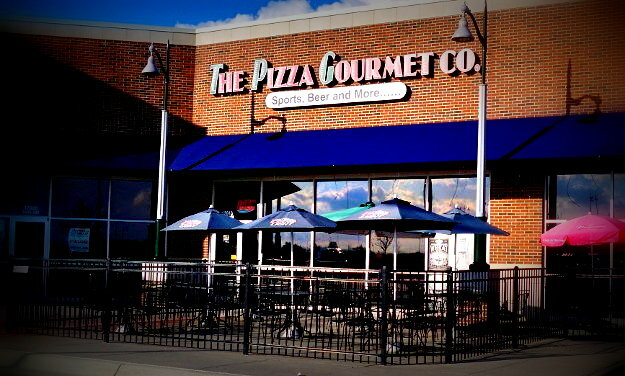 Update: Unfortunately The Pizza Gourmet has closed both Omaha locations. I’m flying solo on this pizza run! 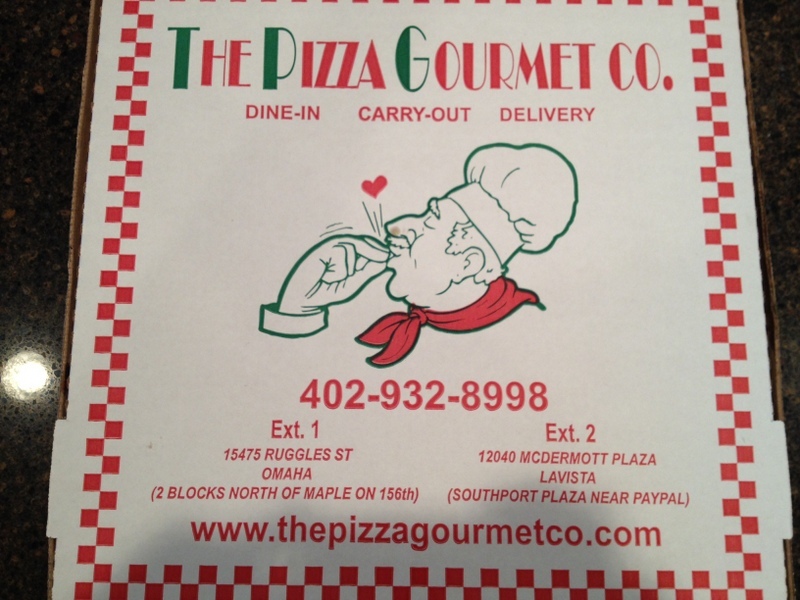 While The Pizza Wife was out of town, I made a quick run over to The Pizza Gourmet in La Vista near Cabela’s. Another first for the reviews here was the fact that this order was to go. 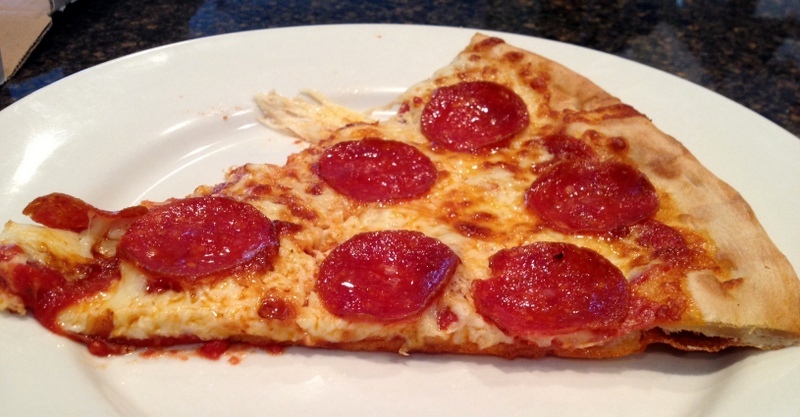 The Pizza Gourmet in La Vista is a pretty good sized place with something for everyone. In addition to a large menu featuring wings, salads, pizza, burgers, pasta and lots more, they have a full bar with daily drink specials. Also featured at this location are many TVs showing sports of all kinds, video games such as Golden Tee Golf, and a pool table. I took a seat at the bar and ordered an ice cold beer and looked over the large menu trying to find the perfect combination for a carry out order. I decided on an order of Teriyaki chicken wings and a Pepperoni Lovers pizza on their hand tossed crust. In addition to the hand tossed crust, The Pizza Gourmet offers three other types of crust, including Sicilian (square and thick), Chicago deep dish, and garlic parmesan. A quick beer later, my ordered was ready to roll and so was I. After a quick drive home I dove head first into the wings. Delicious. The Teriyaki wings were dripping with a very tasty sauce and the wings had a perfect amount of crispiness to them (if that’s not your style you can also get your wings charred on the grill). The pepperoni lovers pizza was absolutely loaded with pepperoni. When they were prepping the pizza in the kitchen I was looking through the little window in the kitchen door (and no, my face wasn’t pressed against it as one might think). The dough was hand tossed and placed on a pizza screen, the sauce was added, a layer of pepperoni was laid down followed by a generous layer of cheese. I would have been fine with that even though I prefer my pepperoni on top of the pie. But WAIT, THERE’S MORE! The pizza artiste wasn’t done yet! Yet another layer of pepperoni on top of the cheese! Oh yeah. Then came the conveyor oven. I tell ya, I’m just not a fan of conveyor ovens. You can sprinkle all of the magic on top of the dough that you want, but if that pizza isn’t cooked on a hot stone you end up with a crust that is missing that charred, slightly crispy bottom. The final product here was a crust that while very chewy, a bit dense, and folded nicely, was a little moist and soggy underneath. Now to be fair, the short trip in the cardboard box certainly doesn’t help in that department. I’d venture to say that the pizza, if eaten in house, would be better. The sauce was pretty standard, sweet and tasty and plenty of it. The same can be said for the cheese, which was generous as well. Overall the the wings were great and the pizza pretty good. 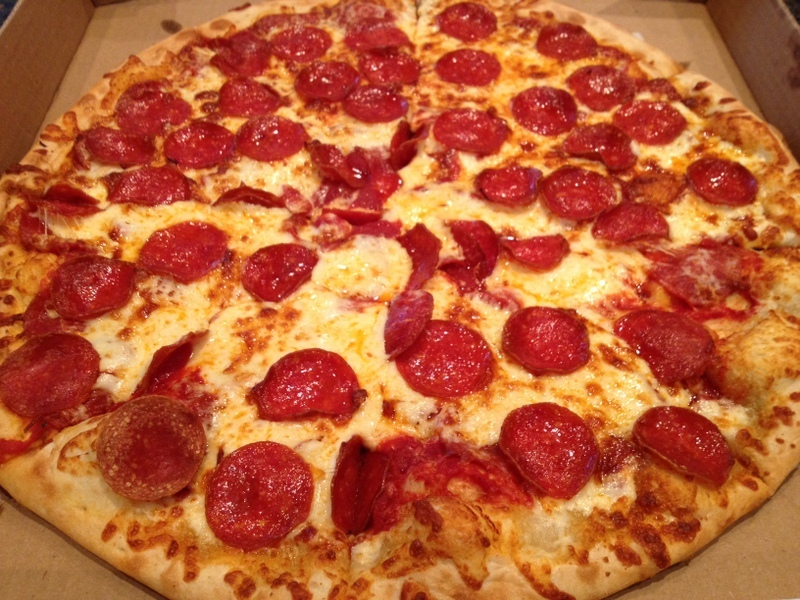 If you love pepperoni, you’ll get plenty of it if you order the Pepperoni Lovers pie. I would love it everyone would use the old school pizza ovens for their pies, but I do understand why some shops choose not to. You can move more volume through a conveyor oven and it simplifies the cooking process. In my opinion however, the quality of the pizza suffers a bit. Cheese: Surrounded with pepperoni above and below! Heaven. How would you rate The Pizza Gourmet’s Pizza? Click on the stars below! This entry was posted in Pizza and tagged The Pizza Gourmet Co. Bookmark the permalink. I agree with you on the chewy yucky crust. I’ll tell you the crust isn’t much better at the shop. The fries are soggy also. However order the appitizer sampler and the wings are awsome.